Dairyland Insurance specializes in auto and motorcycle insurance for drivers who typically can’t get coverage anywhere else, such as those with serious or repeated traffic-related offenses or DUI convictions. If you’ve been pegged as a high-risk driver, Dairyland might be right for you. Based in — where else? — Wisconsin, Dairyland has specialized in high-risk drivers since it was founded in 1953. It’s a part of the “nonstandard” market of auto insurance companies, and it charges accordingly high prices. Have a foreign driver’s license. Have allowed their coverage to lapse. Want to buy only the minimum coverage required by their state. Sentry Insurance Group acquired Dairyland in 1966, the same year the insurer began offering motorcycle insurance. Today, Dairyland also insures scooters and mopeds. Its policies are sold by independent agents, online or by phone. It’s also a mutual insurance company, meaning that Dairyland’s policyholders are part owners of the company. A good option for high-risk or “nonstandard” drivers. Offers “pay as you go” monthly payment plans with a down payment. Charges higher rates than companies that cater to lower-risk drivers. Service mainly delivered by phone and online; agents aren’t widely available. Dairyland’s coverage offerings include bodily injury and property damage liability, collision, comprehensive, medical payments, personal injury and uninsured motorists protection. The company also offers towing and labor coverage, which pays to get your vehicle to a service center if it’s immobilized, and rental reimbursement, which pays for a rental vehicle if your car is being repaired due to a covered accident. Multicar, if you insure more than one vehicle with Dairyland. Advanced quote, if you get a quote at least a week before your insurance policy start date. Anti-theft, if your vehicle is equipped with an anti-theft device. Transfer, if you have other auto insurance coverage in place for at least six months before becoming a Dairyland customer. Dairyland motorcycle coverage offerings include collision, comprehensive, bodily injury and property damage liability, personal injury protection, and uninsured motorist property damage and bodily injury. Underinsured motorist property damage coverage is also available. It protects you when the at-fault driver doesn’t carry enough insurance to pay for repairs of damage to your bike. Replacement cost coverage, which pays for a replacement bike if yours is destroyed in a covered claim. It’s available only for motorcycles that are less than 3 years old. Guest passenger coverage, which pays for treatment of injuries that passengers sustain on your bike. Physical damage plus coverage, which pays to repair your damaged bike with original equipment manufacturer parts. Roadside assistance, which provides towing and emergency services that you may need due to battery failure, a flat, or a mechanical or electrical breakdown. Rider course discount, if you’ve voluntarily taken and passed a safety course within the past five years. HOG discount, if you’re a member of the Harley Owners Group. Rider group discount, for members of certain riding clubs. Women riders discount, for members of Women Riders Now (up to 11% off). Dairyland tied for the second-lowest average complaint ratio in a NerdWallet analysis of complaints against 14 nonstandard car insurance companies between 2012 and 2014. (Lower ratios are better.) The ratios measured a company’s total complaints relative to its market share. Dairyland has a “superior” financial strength rating of A+ from A.M. Best. Dairyland doesn’t have the online tools and resources that some other insurance companies do, but its website is functional and easy to navigate. On its home page, you’ll see links to find an agent, get a quote, retrieve a saved quote and make a payment. You can also settle claims and pay your bill online. Agents aren’t widely available, but if you prefer to work with an agent, enter your ZIP code and you’ll receive a list. Unlike most major auto insurance companies, Dairyland doesn’t offer a mobile app. There’s no getting around it: If you’re considered a high-risk driver, you face difficulty getting auto insurance at a good price. Some insurance companies won’t insure you, and those that will are likely to charge you higher rates. It’s worth your time to shop around and compare quotes from a number of companies. 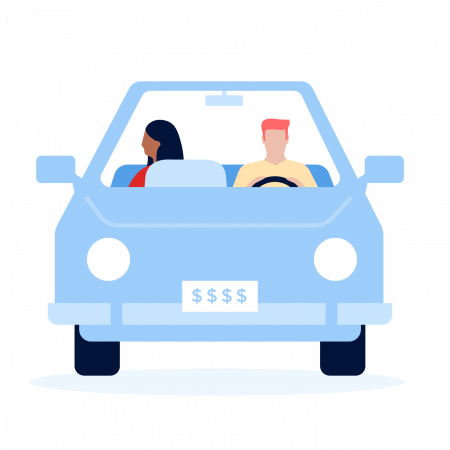 NerdWallet’s car insurance comparison tool can help.